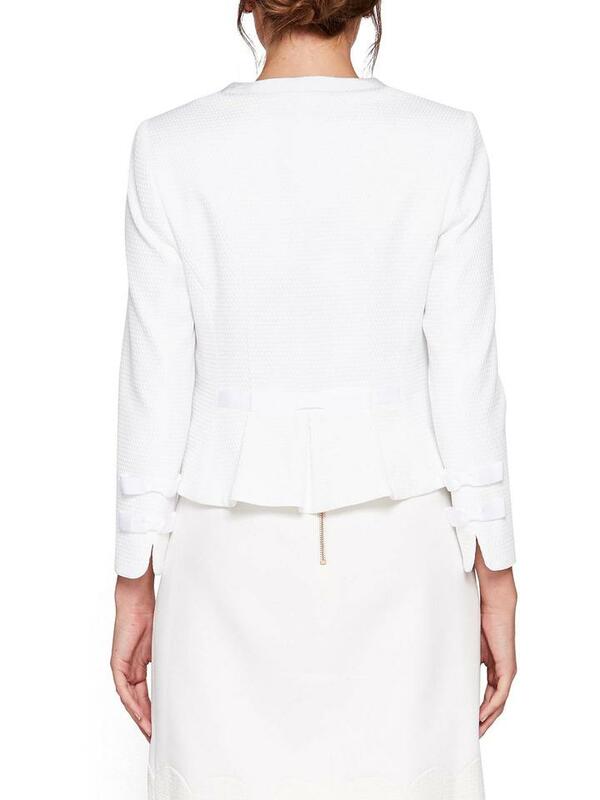 Refine your sartorial standards with this smart Ione textured cropped bow jacket from Ted Baker. Cut to a cropped length, this sophisticated design includes a collarless round neckline, an exposed zip fastening, and pretty bow detail to the front. Layer over a slim-fit jersey top and combine with a sleek pencil skirt and heels for an office-ready ensemble.